The 2016 Stanley Cup Finals are set. In one corner we have the dynasty that wasn’t—the Pittsburgh Penguins—the team that seemed so sure of becoming the modern day answer to the Edmonton Oilers juggernaut of the ’80’s when they won in 2009. In the other, we have the San Jose Sharks—the king of the playoff letdown, the organization whose “window of opportunity” pundits far and wide declared slammed shut two years ago. But here they both are—warts and all—meeting up in a series that on the surface appears extremely difficult to call. Both teams possess deep and talented groups up front. San Jose boast the leagues top three in playoff scoring in Logan Couture, Joe Pavelski, and Brent Burns, and Pavelski is tops in goals too. 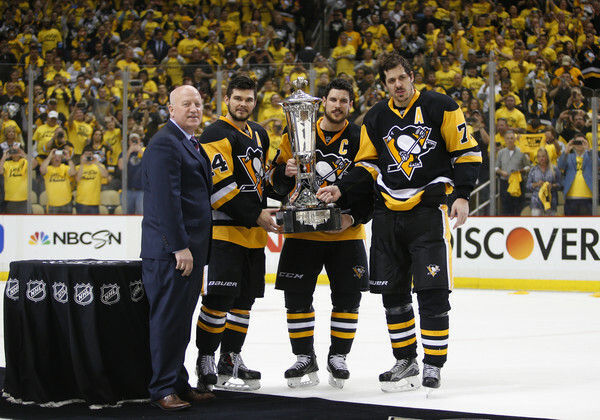 As for Pittsburgh, the names need no introduction as Evgeni Malkin, Sidney Crosby, and Co. excelled against the Lightning and their playoff reputations are well known. However, the difference between this playoff run and others for the Penguins is that they’re finally three lines deep. Any team with Phil Kessel—the Pens best forward in the playoffs so far—on its third line boast some serious depth. That, plus Malkin, Crosby, and Kessel being a nose better than counterparts Pavelski, Thornton, and Couture gives Pittsburgh the edge up front. The only area where you could give either team a sizable advantage in this series is on defense, where San Jose has a clear edge. Never exactly deep on the back end, Trevor Daley’s injury leaves Pittsburgh paper thin. Kris Letang will be asked to play nearly 30 minutes per game, but he’s somewhat fragile and has had a reasonably quiet playoffs which makes you wonder if he’s simply too beat up. Conversely, the Sharks are stocked with solid veterans. 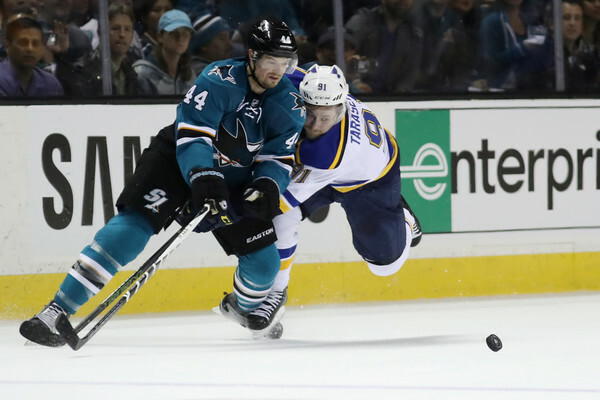 Marc-Edouard Vlasic was largely responsible for shutting down Vladimir Tarasenko in the Conference Final, and Brent Burns may be the most versatile weapon in the game—let alone this series—and is a legitimate dark-horse Conn Smythe candidate. This is an absolute toss up in every sense of the term. San Jose’s Martin Jones is a first year starter, and presumptive Pittsburgh starter Matt Murray has played more games in this run to the finals than he had in the entirety of his thus far very brief NHL career. Both guys have been solid, but it wouldn’t be a shock to see one or both falter…or one or both excel. In other words, anything could happen. One thing’s a safe bet though: You’ll likely see both backups at some point this series. In the regular season, the better power play belonged to San Jose, but the better penalty kill belonged to Pittsburgh, and that’s remained true in the postseason. Both teams have excelled—the Penguins have fired off at 23.4% and 83.6%, and the Sharks have been at 27% and 80.4%. Add both numbers together, and both teams are in excess of 107%—an excellent mark. The same story as the prior three rounds: Push the pace, and possess the puck, not allowing the opponent to expose the Pens somewhat questionable D corp. Thus far, Pittsburgh has had a clear edge in play in every series they’ve been in, outshooting their opponents by over five shots per game—a stunningly large number. If that continues, it’s difficult to see Pittsburgh losing. Forecheck. 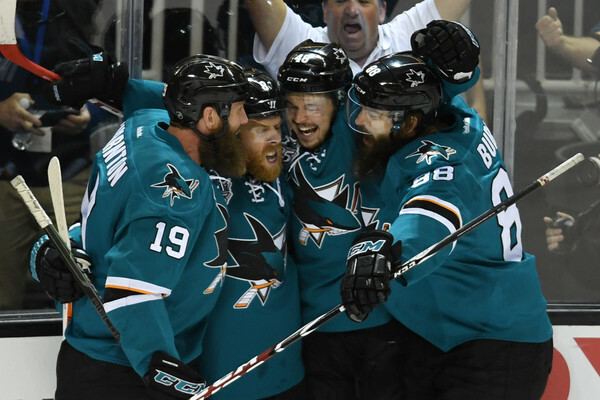 The Sharks are a team of players adept at pickpocketing their opponents and forcing turnovers—they did it to St. Louis and their ballyhooed defenseman all series. If they can turn the Penguins over in their own zone and force them to play a more conservative, slower game, San Jose will win. It’s close, it really is. Both teams are strong, and it almost certainly will be a long series. 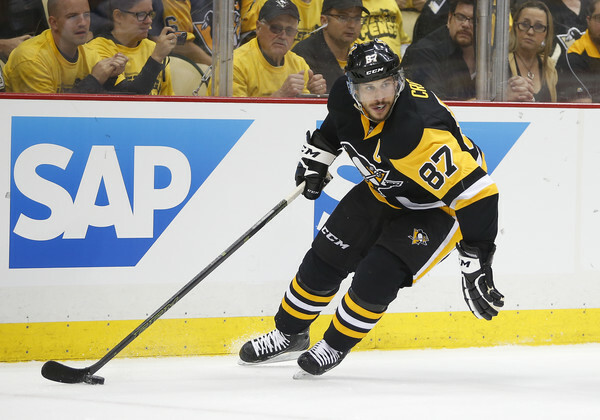 But Pittsburgh, with all due respect to Presidents Trophy winning Washington, has had a somewhat easier path to the finals—and that’s not a good thing. The Pens are yet to face a team that can truly skate with them, Tampa, if healthy, could, but they were wounded all series long. San Jose can keep up. Look for Brent Burns to outplay his counterpart Kris Letang and the rest of the Sharks D to follow suit, and San Jose will skate away with their first ever cup. Sharks in 7.